The San Pedro Sun will have an update when official information is made available. 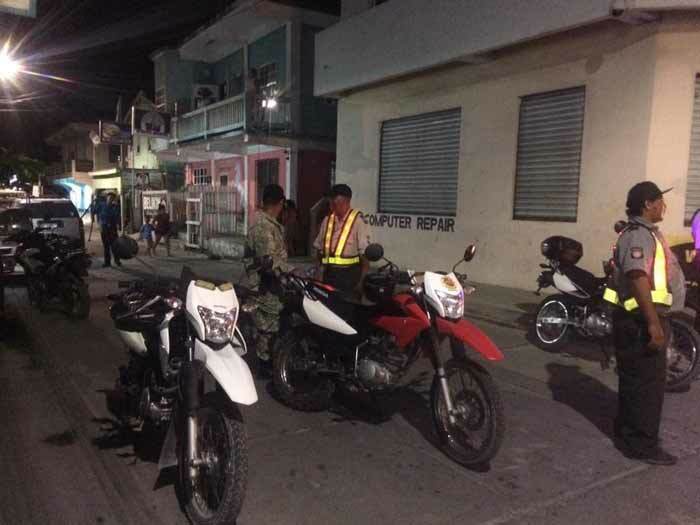 A painter was fatally stabbed in San Pedro Town last night. 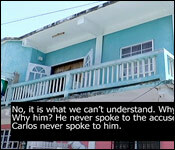 The Reporter has confirmed that the victim is Carlitos Valdez, 50, of Caribena Street on the island. Valdez was reportedly inside his room, located on the upper flat of a club, sometime before 8:00pm when a man attacked him and stabbed him multiple times in the chest and abdomen. 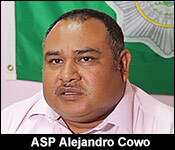 Police Constable Nestor Campus, who occupies another room on the upper flat. reported that he was in his room and went outside when he heard a commotion coming from Valdez’ room. Just then, Campus said he saw a man who he recognized running off, clutching a knife. Campus said that when he tried to stop the man, the man attacked and almost stabbed him, but he managed to push him down and subdue him. Campus said when he went into Valdez’ room, he found him lying face up on a bed with several stab wounds and already apparently dead. Police are looking for the suspect, who reportedly escaped when Campus went to check Valdez’ room. 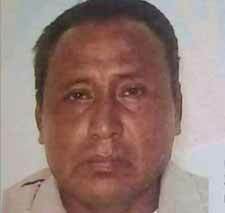 San Pedro Police are investigating the murder of man who was stabbed to death on his bed. 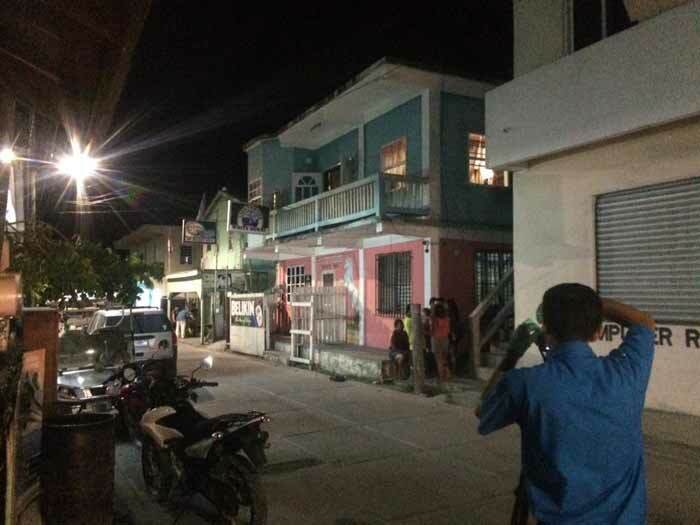 According to the official police report, on Friday, August 3, 2018, San Pedro Police responded to a report on Caribena Street where they found the lifeless body of a Hispanic male lying face up on his bed with multiple stab wounds in his body. The report states that at about 7:40 p.m., Police Constable Nestor Campus was upstairs of the residence in his room when he heard a commotion. 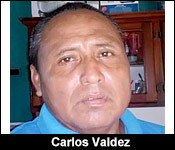 Upon making checks he saw a known male person running away from a room occupied by Carlos Valdez. The room is located on the eastern side of the residence and the assailant was running away with a knife in his hands; Campus attempted to restrain the male individual who in return attempted to stab him with the knife. And while the fire was the weekend's big news in San Pedro, things started badly from Friday when 50 year old Carlos Valdez was found stabbed to death in his apartment on Caribena Street. "Police constable Mr. Campos, who resides in the same apartment building, was inside of his room along with his wife when he heard a commotion coming out from one of the rooms of the apartment. As a result, as he stepped out of his room he observed a male person running out from Mr. Valdez's room holding a knife and observed what looked like suspected blood on his shirt. He made an attempt to subdue this person however he was approached by the male person with the knife and after a little struggle he managed to disarm the man and subdue him. Thereafter, he visited the room where he found Mr. Valdez apparently motionless, with several apparent stab wounds to the chest and stomach area." "Is there any motive as yet as to the dispute between the suspect?" "We cannot exactly tell you if it was a dispute. There was a commotion where people were speaking with a loud tone of voice and that is what caught the officers attention. We know that one of the family members of the suspect who is Mr. Gilbert Antonio Chanek resides at that same building and he was visiting that family member there. What we know is that yes, they know each other for a long time and that he has been frequenting that same location for over two years because a family member resides at that location along with Mr. Valdez. Not in the same room but in the other rooms in the apartment area. 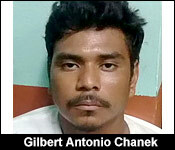 Based on that, on Sunday San Pedro police arrested and charged Mr. Gilbert Antonio Chanek, 23 years old, for that crime of murder." "Sir, you didn't receive any kind of reports from the family about this guy suffering from mental illness for a while?" "No, there is nothing to substantiate that fact. That is what the family members are claiming but they, up to now, have not shown any documents to prove that he has been seen by a doctor or anybody qualified to say that yes, this person is suffering from that kind of illness." Valdez had two stab wounds to the left side of his chest, one to the center of his chest, another to the left lower abdomen, another to the mid-section and three to the right side of his abdomen. Police recovered a 6 inch knife - which is believed to be the murder weapon. As you heard, 23 year old Chanek has been charged for Murder and Aggravated Assault. So, it is a mystery as to what led to the stabbing - and as you heard, the family of the accused is suggesting that Gilbert Chanek may have had mental problems. It's the kind of disturbing scene that nobody wants to unfold in the privacy and comfort of their home, but that's exactly what happened at the home of Myrna Trujillo. "The great person he was. He was a calm and very nice person. I never interfered with anyone. He wasn't a trouble maker. He was a happy person. He would always make us smile and laugh with his jokes. The sad part is that if he was in problem, he would still make us laugh for us to feel good." "Do you have a have any ideas why he was killed?" "No, it is what we can't understand. Why? Why him? He never spoke to the accused. Carlos never spoke to him. They had no contact to say that they had a problem for him to do that." "When it occurred, they went to look for me, and that's when I got to know. My mom was already screaming. My daughter and everyone was with him in the room where it happened. My son-in-law, and my brother held him [the attacker] because he wanted to escape after what he did. But, they were here, and they managed to hold him. We called the police, and the police came. When the doctor came and examined Carlos, he was already dead, and the doctor couldn't do anything." "Only God knows why things like this happen. Not even we can understand why him. We don't know why this boy did this to him." 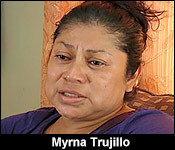 Trujillo and her family tell us that Valdez is originally from Benque Viejo Town.